I found The Invasion in my audiobook app and wanted to listen to it because it sounded interesting. To do that I had to read or listen to The Call. I found it a really interesting story, it just lacked a bit sometimes. Thousands of years ago, humans banished the Sidhe fairy race to another dimension. The beautiful, terrible Sidhe have stewed in a land of horrors ever since, plotting their revenge . . . and now their day has come. Fourteen-year-old Nessa lives in a world where every teen will be “Called.” It could come in the middle of the day, it could come deep in the night. But one instant she will be here, and the next she will wake up naked and alone in the Sidhe land. She will be spotted, hunted down, and brutally murdered. And she will be sent back in pieces by the Sidhe to the human world . . . unless she joins the rare few who survive for twenty-four hours and escape unscathed. Nessa trains with her friends at an academy designed to maximize her chances at survival. But as the days tick by and her classmates go one by one, the threat of her Call lurks ever closer . . . and with it the threat of an even more insidious danger closer to home. 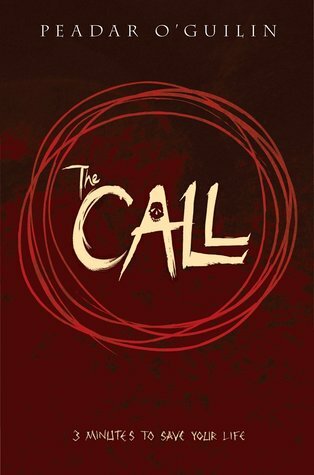 I give The Call by Peadar Ó Guilín four out of five hearts. But it is more a three and a half than four. I didn’t love it, but I liked it. The story world is really interesting, with the gray land and people vanishing. The story follows a lot of characters, which made me confused sometimes, but because it usually switches when the character, the pov switches to, gets some really important information, the reader will too. You get information from people that vanish into the gray land or the adults from the survival school or the fairies. Nessa is a child that knows that if she gets ‘Called’, she most likely will die. Still she has trained hard to give herself the best chance. She is very inventive and knows her skills and her flaws. She is great. The others are less distinctive, but I also got the impression that Nessa was the main character and the other povs were there to give the reader more information. The school is quite interesting too. They help the children learn everything they need to know for when they are ‘Called’. The kids walk around on bare feet because their shoes won’t come with them to the gray land. They have a brutal regime on things that shouldn’t be happening and ever two weeks they have a hunt, where a selected group of students has to hunt a different group of students to teach them about what it feels like to be hunted. It is brutal and Peadar writes it in a beautiful and clear way. I loved the inclusion of Irish mythology into the story and am looking forward to reading The Invasion when I finish my current book. This entry was posted in Book Review and tagged Adventure, Book Review, Drama, Dystopia, Horror, Peadar Ó Guilín, Romance. Bookmark the permalink.